Growing up in Delhi, you cannot be spared from the charms of Chaat, the most sought after street food. 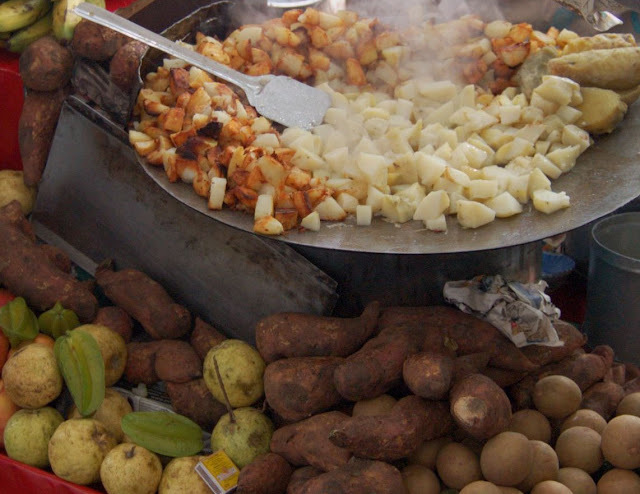 Of all the chaats, aloo (potato) chaat is probably the only one which is served hot and so is popular even in winters. Diced potatoes are fried in generous helpings of oil on large griddles or tava and drizzled with tamarind, mint chutneys and an array of ground fragrant spices. Whats not to like here. 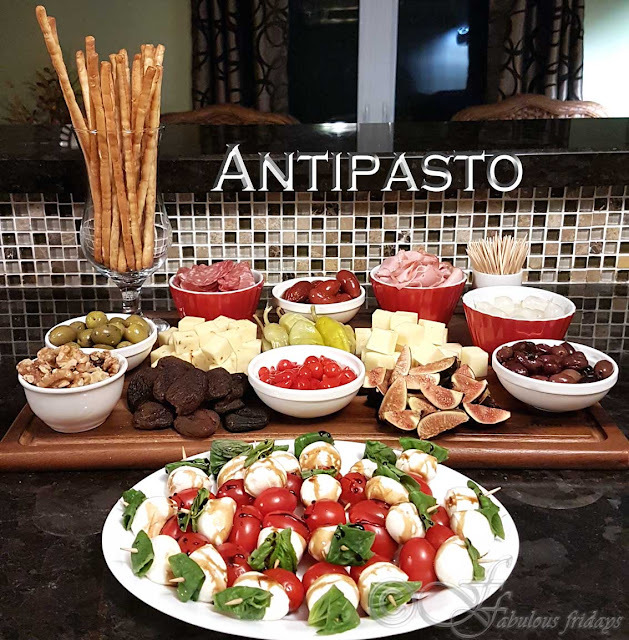 This version is much lighter without compromising the taste. Roast the half boiled potatoes in the oven with just a drizzle of olive oil to get the crisp delish spud. 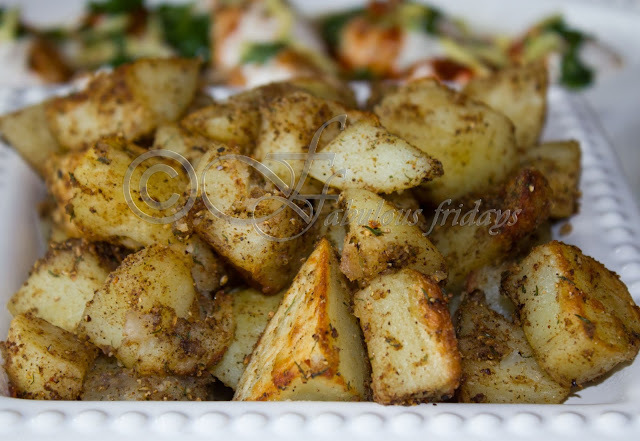 If you prefer, you can shallow fry your diced potatoes and flavour them with chaat masala. Microwave the potatoes in a little water till half cooked. Cut them in cubes and spray generously with oil (I use olive oil). Grill them in the oven on high till golden brown and crisp. Meanwhile dry roast cumin seeds, coriander seeds, black peppercorns and red chilies in a skillet till they impart a roaster aroma. Cool and dry grind to a fine powder. Add mint, amchur, black salt and sugar to this concoction to make a chaat masala. 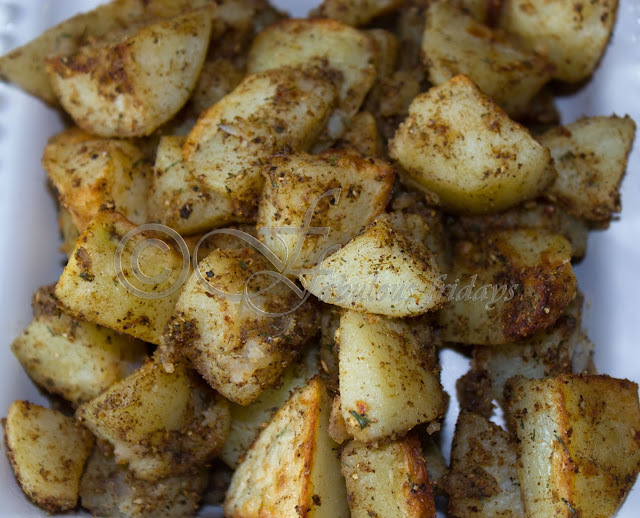 Add desired amount of the chaat masala to the roasted potatoes. Add salt to taste (remember the chaat masala already has some black salt). Drizzle the tamarind water and lemon juice according to taste. Serve sprinkled with fresh coriander.